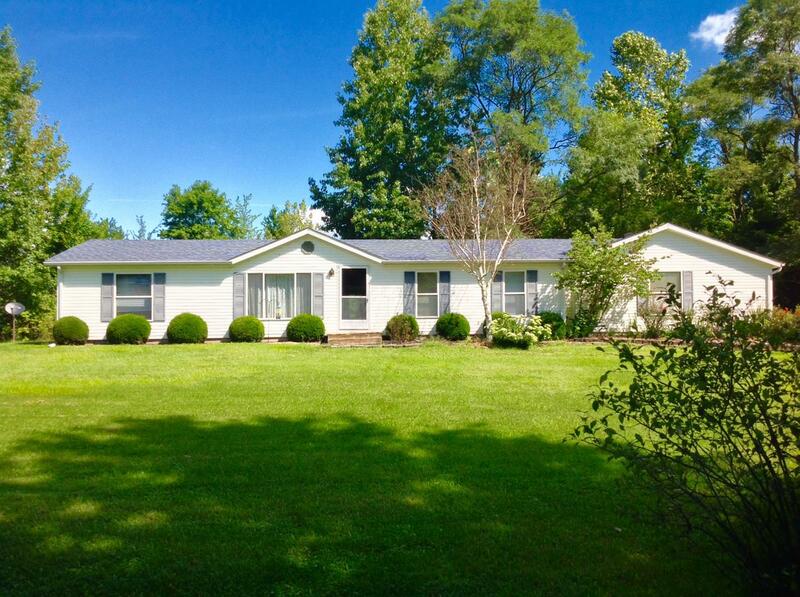 From Batesville, SR 46 East to lt. on 600E to home on lt. Driveway is shared, home on left! Signs On! Woods & Water! Lakeside Living!! 3BR,2BA home situated on a beautiful 8.5 acres overlooking a shared 2.9 acre lake, lg. Kit, living & dining rooms, Sunroom w/ scenic view of lake, lg. MBR w/ MBA w/ garden tub & sep. shower, skylights, pergo flooring in kit & din., , covered rear porch & decks, mature woods, pasture, outbuildings & more!